﻿Dell’s premier laptop sees a few crucial updates for 2019, including a much longer battery life and a new spot at the top for its webcam. Realizing that there’s no need to reinvent the wheel, Dell’s only tinkered with their popular laptop opposed to a full overhaul. The keyboard still has a solid feel to it and the resolution is quite sharp. In a world where consumers want light, thin and powerful, the XPS 13 is an ideal choice. 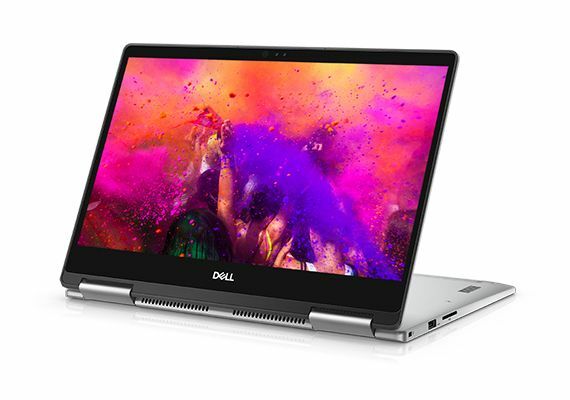 Blending affordability with a smart design, Dell’s Chromebook 5190 is designed for plenty of primarily student wear and tear. Whether it’s being slung into a locker, backpack, kitchen table, desk or coffee shop table, the 5190 aspires to be the go-to Chromebook for students. Interestingly, Dell says this can be (hopefully only accidentally) dropped from 30” (about the height of a desk/table) resulting in minimal or zero damage, all thanks to the rubber corners. Ample USB ports and an 11.6” screen and surprisingly decent speakers make this a great value-charged option. Aside from the XPS, the 7000-series of Dell products is our favourite and packs a mighty punch as far as functionality goes. Fully foldable so that it doubles as a tablet, the 7373 may be big and heavy but it’s oh-so highly useful and powerful. It’s beautifully designed, very comfortable to type on (especially for longer documents/spreadsheets/emails/etc.) and the 1080p display is crisp and clear. It’s a solid choice for those looking for something strong and resourceful, such as an entrepreneur, and it also works very well as a personal-needs laptop.